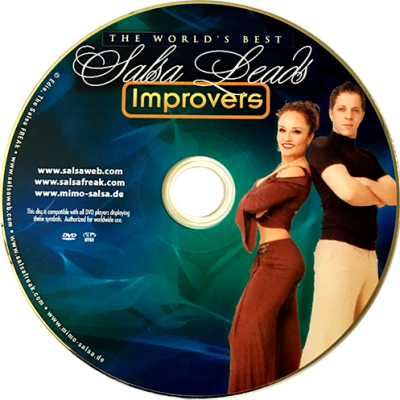 “The ADVANCED Salsa Syllabus describes in detail all the REALLY COOL moves, turns, and spins that you can do literally in between the Salsa 101-106 Syllabus (Beginner/Improver) series! The advanced Syllabus applies the same moves BUT adds unique moves the leader executes in a split second to make the simplest of moves appear to be ultra complicated, BUT REALLY AREN’T! Edie chose Nery for this series because of his incredible spinning technique, precision, and speed. Nery also has the uncanny ability of making the woman feel good the entire song, no matter what level. He executes incredible moves himself – without forcing her into anything she cannot physically do, making the most beginner of beginners “feel” like they can do almost anything!